The caring professionals at Hopkins Health & Wellness Center and DMR Clinic Woodbury take time to listen, to understand, diagnose, and treat each patient for their individual needs. Your extensive initial consultation and exam will include a detailed analysis of findings and specific recommendations for bringing you fast and lasting relief. Part of our treatment process includes providing all the resources you need to take an active roll in your recovery. Our Hopkins facility has Snap Fitness Center integrated into our physical therapy department. Serving as both a resource for patients and a community fitness center, Snap Fitness Hopkins is another amazing resource for our patients and the community. Patients are welcome to use the facility under the direction of our clinical staff and can join as a regular member when their clinical treatment is completed. There is no enrollment fee for Hopkins Health & Wellness Center patients. 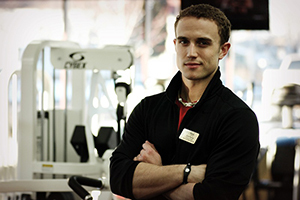 Please speak to the Hopkins Snap Fitness manager for assistance or click here to be directed to our SNAP Fitness website.